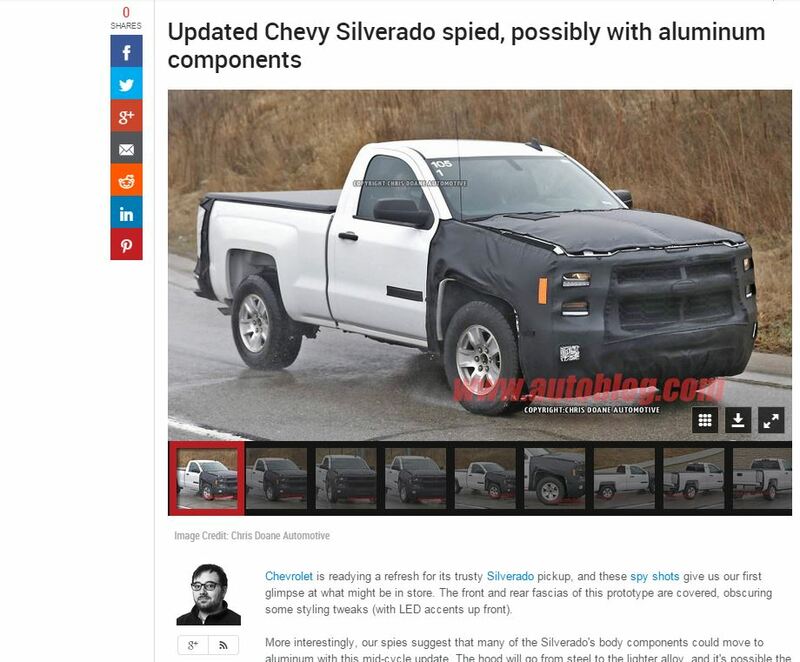 “Spies” and paparazzi photos of the new Chevrolet Silverado indicate some potential changes to the high-strength steel pickup — including the possibility of more aluminum, AutoBlog reported Friday. 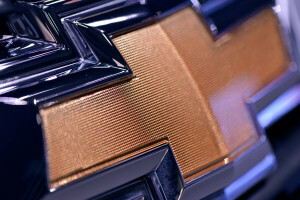 It referenced Wall Street Journal coverage of General Motors negotiating contracts with aluminum suppliers and surmised the new cycle of the Silverado would be aluminum. Ironically, GM has just released details explaining how to perform remove-and-replace fixes on the 2015 high-strength steel pickup. Of course, an aluminum hood isn’t exactly cutting-edge, and it’s kind of interesting GM hadn’t gone that route before. But speeding up aluminum components to catch up with Ford and the 2015 F-150 — as Reuters reported GM was doing with the 2018 redesigned Silverado — could bring in more aluminum and mixed-materials repair jobs to auto body shops. “Look for the updated Silverado to debut later this year, likely as a 2016.5 model,” AutoBlog said.